"Project FSH" (aka “The FSH Project”) is an extension of the CPTwomen’s Tubal Ligation/Sterilization Outcome Health Survey which follows health and other outcomes after female tubal sterilization. The focus of “Project FSH” is to examine in detail hormone health and follicle stimulating hormone (FSH) levels after tubal sterilization. Free home FSH tests are provided to women who qualify. Qualifications for who is eligible for the free FSH testing is determined within the Tubal Ligation/Sterilization Outcome Survey and considers factors such as (but not limited to) age, weight, and if pervious FSH tests have been ordered by a personal MD. Participants of the Tubal Ligation/Sterilization Outcome Survey are automatically notified upon completion of the survey if they qualify for the free testing. All women aged 18 years or older who have undergone any type of female sterilization (surgical procedure or placement of a medical device/product on or in the fallopian tubes) are invited to take part in this research study. All women are encouraged to reply. The type of sterilization does not matter. Click here to take the "Tubal Ligation/Sterilization Outcome Survey" and learn if you qualify for the free testing. 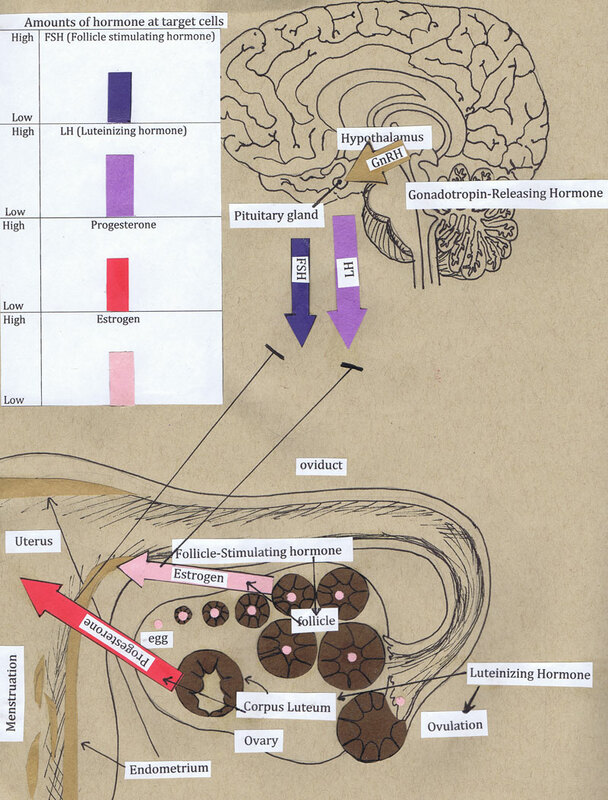 Follicle stimulating hormone (FSH) is naturally produced and released from the pituitary gland located in the brain. In women it plays a part in the feedback loop which regulates hormones and is named as such because it works specifically to stimulate a follicle from the ovary. 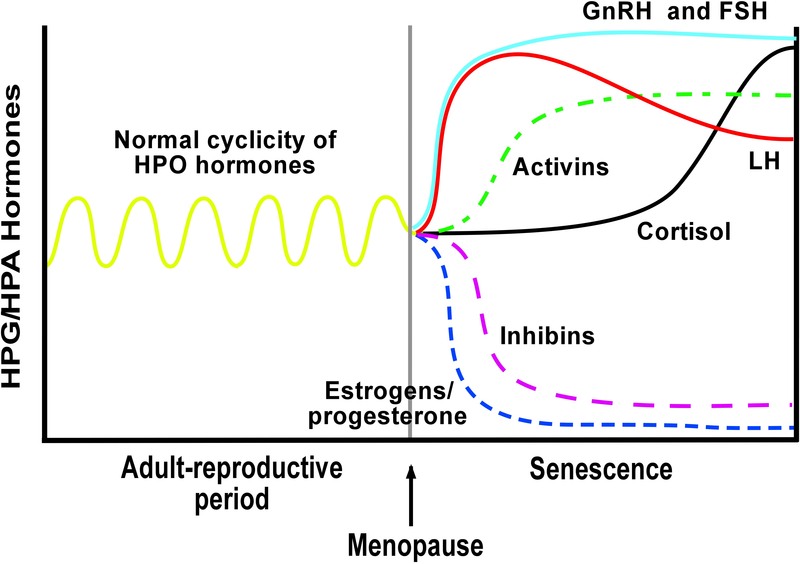 Young healthy women of reproductive age have cyclic FSH levels which wax and wane in sequence with ovulation and changing estrogen levels during her monthly cycle. The pituitary gland causes production and release of FSH and continues to do so (and levels continue to rise) until a follicle is stimulated and released. The cyclic FSH levels begin low, has a quick spike just before ovulation (day 13 to 15) then drop low again. The most common reason continuously high non-cyclic FSH levels in young females of reproductive age is that of ovarian insufficiency (aka premature ovarian failure or early menopause). High levels of FSH occur with ovarian failure and menopause because the feedback needed (ovulation) which tells the pituitary gland to stop producing FSH is absent in ovaries which are nonfunctioning. FSH levels rise and continue to elevate in an attempt to stimulate a follicle and ovulation. All forms of female sterilization have potential and known side effects. Negative side effects and outcomes are often referred to as “post tubal sterilization syndrome” or PTLS. One cause of PTLS is the iatrogenic effect of nerves and the blood supply to the ovaries being altered and affected by the TS process which in turn can cause anovulation (ovaries failing to normally function or to ovulate). Symptoms of anovulation, POF and menopause include irregular or skipped periods (amenorrhea), hot flashes, night sweats, vaginal dryness, irritability or difficulty concentrating (foggy thinking or “brain fog”), and decreased sexual desire. One recent study (2012) concluded that tubal sterilizations performed at the time of cesarean section has less of an negative effect on ovarian function when compared to planned tubal sterilizations done by minilaparotomy. One goal of “Project FSH” is to report on the number of young sterilized women experiencing sustained elevated levels of FSH and compare these numbers to different sterilization methods. Women who participate in the outcome survey but do no qualify for the free FSH testing or any person wanting to self order any type of lab on their own can do so and find more information by clicking here.